An ordinary visit to a swap meet at St. Louis' Jefferson Baracks changed not only the direction of one man's life, but also enriched the nation's understanding of the Civil War. Mark Trout, noticed an exquisite historic building that had fallen into disrepair as he strolled the grounds. A history lover and skilled tradesman, Trout began a ten-year odyssey to restore the building, doing much of the work himself. The 1905 Jefferson Barracks Post Exchange & Gymnasium Building was originally designed in 1903 by the United States government. It served as troop barracks during both World Wars, but was abandoned by 1946. A decade ago the building was scheduled to be bulldozed. The roof was partially gone, dead animals, rotting wood and military junk were scattered through the interior, and water had taken a heavy toll on the structure. Some windows were left, but were beyond repair. 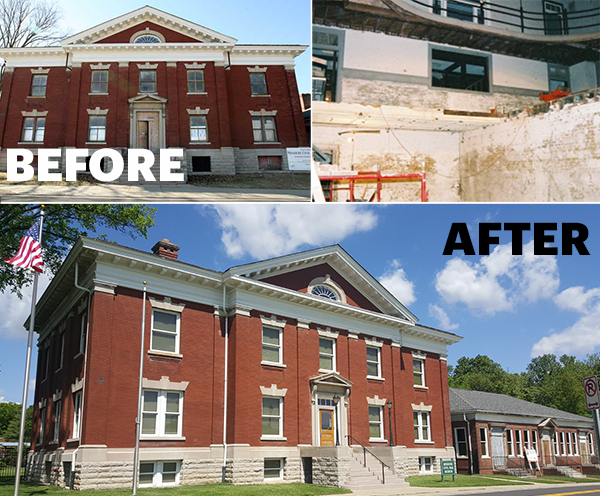 It took ten years of volunteer labor to restore the building. Sensing that history was being made, people in the community began showing up - and they brought their pieces of military history with them. The makings of the Missouri Civil War Museum began before the building was even finished. One of the last restoration projects was the windows. Winco is known for historic replica windows, and the company's 4500 series double hungs, with a white painted finish, and Vitro Bronze Solarban 60 glass were used. During the 1900's, white was still the color of the infantry, and the crisp white windows pay tribute to building's military past. Today, Trout's dream is a reality. The Missouri Civil War Museum is now one of the top-rated Civil War Museums in the country and continues to grow as an educational center.